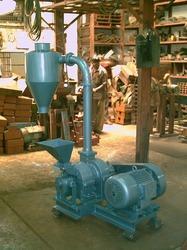 We are one of the leading manufacturers and exporters of Lab Pulverizer/ lab Pulveriser in Mumbai, Maharashtra, India. We have an experience of more than 50 years in this Industry, We have our client all over the globe. We also manufactures Chemical Pulveriser, Impact Pulveriser. Lab Pulverizer offered come in precision design & construction finish so as to provide support for delivering optimum processing support as demanded by the customers. Further, these pulverizers find extensive use in industry sectors like mining, metallurgy and others. Some of its features include suitability for processing of coal, ores or minerals; allows preparation of samples with short grinding time; allows for fast grinding support up to 1300 rpm; optimum speed control through microprocessor and frequency converter; support independent reducing of rotation speed to prevent damage to grinding element. Looking for Lab Pulverizer ?